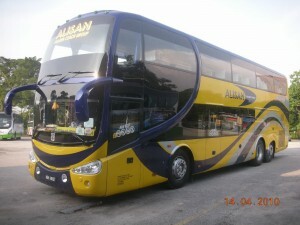 Alisan Golden Coach is one of few coach company providing direct coach service for Penang to KL and KL to Penang. Spacious seat, especially for leg room spacing where leg can be straighten, and adjustable are the selling point for Alisan Golden Coach. The foot resting is also specially designed to give a better and comfortable support. Morever it can operated to individual requirement. 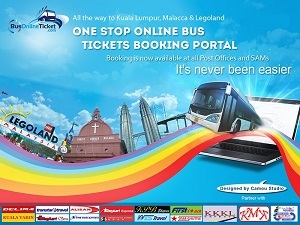 It gives a smooth, comfortable, not noisy & very relaxing feeling throughout the whole journey. Besides the service between KL and Penang, Alisan Golden Coach is also specialist for KL to Hatyai and Hatyai to KL service rouets. They also have the most schedules for both KL departures to Hatyai as well as Hatyai departure to KL. Again, the spacious seat and leg space are their advantage especially for long journey trip between KL and Hatyai. 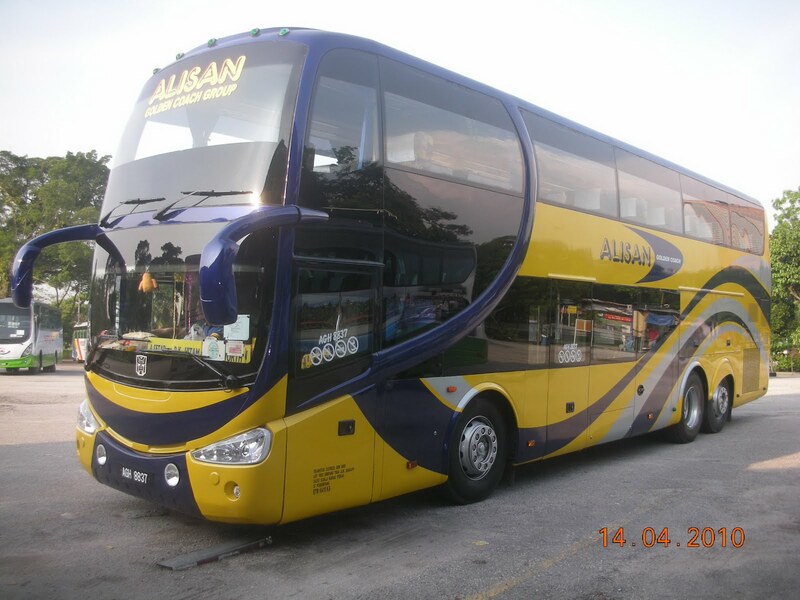 In recently years, Alisan Golden Coach has implemented Free Wifi service in the coach for passengers to stay connected with friends and family during the journey. Some passengers who travel from KL to Hatyai, would continue their journey to nearby island and beach attractions like Koh Lipe, Koh Samui, Koh Phangan, Phuket, Krabi etc. Online booking for the transportation from Hatyai to nearby island and beach attractions are available at this Thailand bus online booking portal.